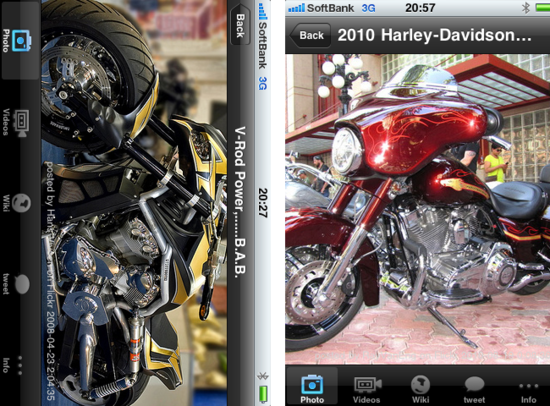 Harley-Davidson iPhone app - Special custom bike from the world!：Quantis,Inc. Quantis,Inc. 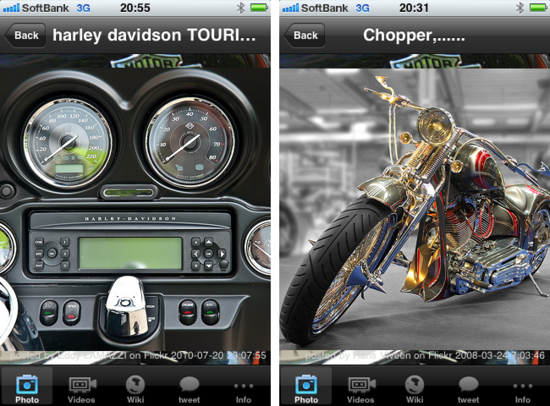 >> iPhone apps >> Harley-Davidson iPhone app - Special custom bike from the world! 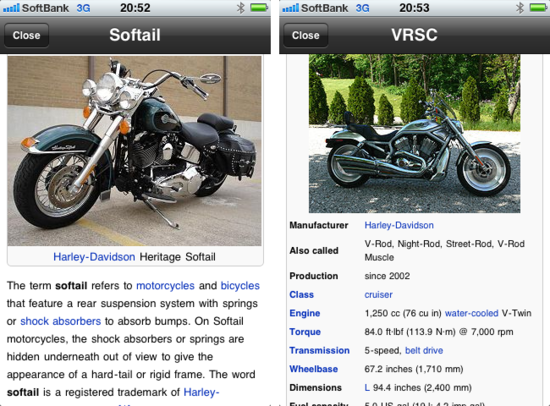 HarleyViews is a photos and videos viewer of the Harley-Davidson motorcycles. You can enjoy tons of photos and videos uploaded onto the web all the time. 1) High resolution Harley-Davidson photos. 2) Harley-Davidson videos with YouTube player. 3) Harley-Davidson wiki data library. 4) Harley-Davidson related tweet search.